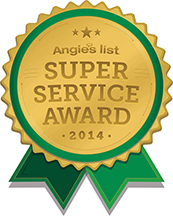 ACE TREE Service provides every job with experience and professionalism. 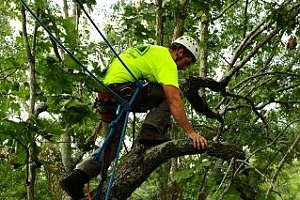 We are licensed, insured and bonded for comprehensive tree service in Birmingham, Al. Our company is owned by Adam Elliott who is also ISA Certified Arborist. Adam is a Birmingham ISA Certified Arborist (license # SO-6393A) who specializes in: tree cabling, bracing, micro injection, deep root fertilization, tree roots treatment, tree hazard assessment, disease infestation and pest control. For any tree service, call (205) 332-7757! Well-cared-for trees are attractive and can add considerable value to your property. Poorly maintained trees can be a significant liability. Pruning or removing trees, especially large trees, can be dangerous work. ACE Tree and Landscaping uses Integrated Pest Management (IPM) to manage insects and diseases on your trees. 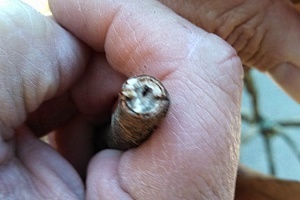 There are many different insects and diseases that can harm a tree. Adam is a Birmingham ISA Certified Arborist (license # SO-6393A) who specializes in tree cabling, micro injection, deep root fertilization, tree roots treatment, tree hazard assessment and disease infestation. ACE Tree crew was courteous, appropriately dressed and highly skilled. They removed an 85+ yr old oak next to power/communication lines in my backyard. They left my property clean and loaded the excess oak firewood onto my neighbor's trailer. They were as synchronized as a NASCAR pit crew and I would give them my highest recommendation. Great job guys! nhfjbyxg Help us prevent SPAM!